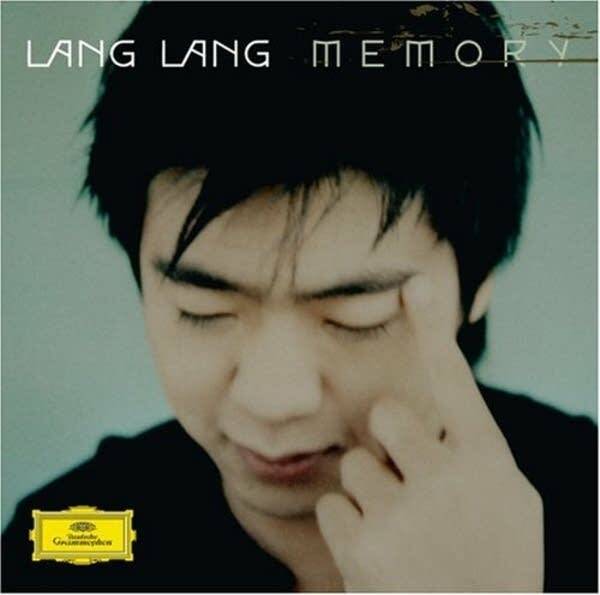 New Classical Tracks: Lang Lang's vivid "Memory"
Chinese pianist Lang Lang was born to play the piano. When he was just two years old, his parents decided he was going to be an international star. It was not an easy road. They sacrificed everything and placed their own dreams of becoming performing artists into his hands. It was a tremendous responsibility for anyone, never mind such a young person. Anthony Tommasini, chief classical music critic for The New York Times, believes Lang Lang's record company has added to the burden. "The future of classical music has arrived," trumpets Deutsche Grammophon, "and his name is Lang Lang." Tommasini asserts that's a lot of pressure. When people come to Lang Lang's concerts, he says, they expect some kind of epiphany rather than a musical performance. Over the past few years, critics have hammered on Lang Lang for being all show with little substance, but I think this new solo recording proves them wrong. Lang Lang may be only 23 years old, but he's already looking back on how his art has developed, and the works that have informed his musical journey. This new CD, "Memory," connects Lang Lang to music that he strongly associates with his childhood. Some of these works he learned many years ago, and some he remembers first hearing as a child. Lang Lang takes us from thoughtful moments of quiet reflection to radiant displays of virtuosity. It's appropriate that Mozart's Piano Sonata in C Major, K.330, opens this collection of memories because this is the work that re-started the young man's piano playing career. He was just nine years old when he moved to Beijing to study with a top teacher. Apparently she was some kind of a tyrant, because after six months she kicked him out of her studio and told him he couldn't play the piano. He was devastated and stopped playing altogether. It was a school music teacher who encouraged Lang Lang to give the piano another chance. That teacher put the slow movement of Mozart's Piano Sonata, K. 330, in front of the young boy. Suddenly, Lang Lang realized how much he loved playing the piano. Today, that piece remains a symbol of hope for Lang Lang. As he plays this piece on this recording, I hear a gamut of emotions. The first movement is pure joy. I can just picture Lang Lang with his eyes closed and head back swaying gently as his fingers roll delicately over the keys. The powerful slow movement is filled with tears of relief, as Lang Lang tenderly displays why he loves playing piano. Lang Lang is an amazing storyteller at the keyboard, and he relies on that ability when he plays Schumann's "Kinderszenen," or "Scenes from Childhood." He's been entranced by this piece since first seeing a video of Vladimir Horowitz playing it a long time ago. This is by no means a work for children to play; it requires wisdom and a sense of maturity, which Lang Lang is able to express even though he's just 23 years old. Lang Lang says it's as if an aging grandmother is looking back, thinking of her childhood. As a child, Lang Lang didn't have a lot of time for fun; at age five he would get up at 5:00 a.m. to practice and do schoolwork. But he still has happy memories of his childhood, and he tries to share those special moments in "Scenes from Childhood." In listening to this set of stories, I think it's obvious that many of his happiest times relate to the poetic tales he tells at the piano. After Lang Lang performed with conductor (and renowned pianist) Daniel Barenboim and the Chicago Symphony Orchestra, Barenboim made this remark about Lang Lang's skills as a performer: "He plays the piano like a cat with eleven fingers." If you want to hear what Barenboim means, just pop the bonus CD from this new recording into the player. This additional disc features Franz Liszt's Hungarian Rhapsody No. 2. Lang Lang wanted to learn this piece from the first time he saw the "Tom and Jerry" cartoon where Tom, the cat, plays the Rhapsody on the piano. The most amazing thing was that the animators adopted Vladimir Horowitz's flat-fingered technique for Tom. Lang Lang didn't know Horowitz at that time; all he knew was he wanted to be like that cat. As it turns out, he's a little of both.